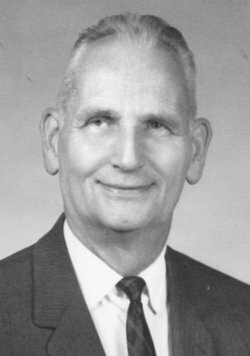 Pastor Carlton Helgerson ministered faithfully for many decades in New England. He was a beloved man of God and a wonderful teacher of God's Word. In many ways he was a Pastor to pastors--a tremendous influence to many pastors who were taught by him at Bible Conferences, at monthly Pastor fellowship meetings, and in the classroom at the Burlington (MA) Bible Institute. His reverence for the Word of God and for the God of the Word is remembered by everyone who knew him. The burden of His heart was to help believers understand WHO GOD IS, and also to help them understand the awesome truth of the indwelling presence of the Spirit of God. As this present paper demonstrates, he also had a great burden to share with men how precious the local church is to the heart of God. It is with thanksgiving to God that we make this study available to you, with the kind permission of his son, Pastor John Helgerson. This study, in which Rev. Carlton Helgerson shares the burden of his heart, is a compilation with some minor revisions of messages given in The Church of the Open Bible, Burlington, Massachusetts, and in Bible conferences. It is a product of more than five decades (1936-1992) of Bible study and ministry. Amidst Christendom's pendulous oscillation between institutionalized, apostasy-prone denominationalism and reactionary independents, God's revelation and its application regarding the local church tends to be neglected. Merely to draw illustrative texts from the earthly ministry of Jesus or to make sweeping platitudes about the universal church leaves us unmindful of the potential of the local assembly of believers and its inherent glory. Within the following pages you will find an introduction to the New Testament emphasis for this dispensation: God making His glory manifest through the collective witness of the "called-out-ones." As you are reminded of the truth involving a body energized by the life of God, a building inhabited by the Spirit of God, and a bride adorned for her Christ, you will be moved to study the Epistles more carefully and challenged to apply these facts and principles to your local assembly in a practical way. In ages past, antedating history, God conceived a plan by which He would have a peculiar witness unto Himself on the earth during the period of time in which we now live the dispensation of the grace of God. This new creation would be to the praise of His glory, both in this age and in the ages to come. God purposed in Himself to create a new race-- new humanity having His life--distinct from the fallen humanity of the first Adam. The new humanity would be created in Christ Jesus, the last Adam. Yes, created! Thus denoting a supernatural work by the triune God and ordained to be a testimony before the world and before all principalities and powers in the heavenlies (Eph. 3:10-11). The Epistles refer to this as the great mystery kept secret from previous ages but now clearly revealed to us (Eph. 3:5; Col. 1:26; 1 Cor. 2:10). Only the soulish can fail to see this glorious revelation (1 Cor. 2:14). It is further identified as the body of Christ consisting of born-again believers: "For by one Spirit are we all baptized into one body" (1 Cor. 12:13). Every Bible believing pastor professes adherence to this doctrine at the time of his ordination. Its application to the local church certainly merits our attention. The word "CHURCHES" will be more meaningful to us when we reflect upon the Divine plan, purpose, and priority and consider the pastor's position as a teacher, presiding over the local manifestation of this new humanity (Eph. 4:12). According to Romans 5:12-19, by one man came sin, disobedience, condemnation and death; then by one other Man the reconciliation, the abundance of grace, and the gift of righteousness. The first man is the federal head of a race fallen and under condemnation; the second Man is the federal head of a new race unto justification of life. "For as in Adam all die, even so in Christ shall all be made alive" (v. 22). "The first man Adam was made a living soul; the last Adam was made a quickening Spirit" (v. 45). "The first man is of the earth, earthy; the second Man is the Lord from heaven" (v. 47). By physical birth the believer inherits of the earthy; by spiritual birth the believer receives of the heavenly life of the Man in the Glory. This race is a new creation. "For in Christ Jesus neither circumcision availeth any thing, nor uncircumcision, but a new creature" (Gal. 6:15). In teaching believers correct attitude and deportment now that they are "in Christ" and under "no condemnation" (Rom. 8:1), the Apostle Paul referred to "the new man which is renewed in knowledge after the image of Him that created him" (Col. 3:10) and "the new man which after God is created in righteousness and true holiness" (Eph. 4:24). To know that he is now a part of this new creation and in union with Christ enables the believer to more fully appreciate 2 Corinthians 5:17: "Therefore if any man be in Christ, he is a new creature [lit. creation]: old things are passed away, behold, all things are become new." A wonder, something supernatural--a creation miracle--has taken place. Having believed the gospel unto salvation, I am not merely a reformed member of the race of Adam. I am regenerated--a living part of an entirely new entity, a new creation, the new humanity. For God decided before the foundation of the world to create a race that would partake of the Divine nature (2 Pet. 1:4) while still having the physical properties of the first Adam and a fallen nature. This did not take place in prior ages. The resurrection and ascension of our Lord Jesus Christ brought in a new order! As believers in the gospel of our Lord Jesus Christ we are His workmanship created in Christ Jesus (Eph. 2:10). This is the great salvation we dare not neglect (Heb. 2:3). It is the local segment and manifestation of this new mankind. The Greek word translated "church" is ekklesia and would be better translated "assembly." If we keep this in mind, most of the current misunderstandings will vanish. When we allow the Holy Spirit to show us in the Word the composition and the true nature of the local assembly, we will not be satisfied with a carnal organization. For this manifestation of the new humanity is an organism: the assembly which is His body (Eph. 1:22-23)! Therefore, we are to bear in mind that the local church--and I prefer to use the Scriptural term assembly--is really a supernatural thing. A study of its life and function as an organism is necessary if we are to honor the Lord. It is clear that certain spiritual properties apply to the church universal, but what is too often overlooked is that these also must apply to the local fellowship of believers in Christ! In addition, it should be noted that the practical applications--management, polity, preservation of doctrine, discipline, the observance of the Lord's supper, and the collective witness unto the Lord as taught in the Epistles--all focus upon the local assembly. Because God has so ordained that He would manifest Himself in and through the local church, it must be seen as sacred and held in high esteem. For this reason a most severe judgment will be visited upon any person who in any way brings in defilement (1 Cor. 3:17). Saved persons--regenerated by the Holy Spirit through the incorruptible seed of the Word of God--constitute the local assembly. The resurrection life of its Head is in each one, and together they constitute the dwelling place of God, described as "an habitation of God through the Spirit" (Eph. 2:22). Whether these believers in the Lord Jesus Christ worship God under the open sky, under a thatched roof, or in a more substantial structure, they, together, are Christ and the manifestation of Christ in that locality. Therefore, the local assembly is holy unto the Lord and designed by God to evidence His virtues and to radiate His glory. Let us not take the New Testament concept of local churches lightly, but reverently and in the fear of God. Rejoice in this high calling; grow and develop accordingly. The apostolic expression "in Christ," when understood and applied by the local assembly of believers, with its obvious implications pertaining to spiritual union and oneness in Him, will not fail to produce the collective witness designed by God. We do not disavow God's label when He calls us "saints" but will fully recognize an obligation to walk worthy of this calling. Neither should we be hesitant in accepting what the Lord has revealed about the local church as the current incarnation of the mystery of godliness (1 Tim. 3:16). We are to allow Him to manifest His life in body coordination, interpersonal relationships, and true holiness. It is in the local church that the life and nature of the new humanity first rises above the old racial distinctions that produce friction and where we may observe that equality which is now in Christ (Eph. 2:15-16; Col. 3:11). Furthermore, we are to see that the glory which Jesus bequeathed to His own (John 17:22) ought to be recognized in the local church (Phil. 1:11; Eph. 3:16,21). We ought to pray for spiritual illumination in order to discern the potential wealth of this glory now present in the local assembly (Eph. 1:18). It is primarily in the discipline of the local church fellowship (Rom. 12:4-5) through surrender, separation, and the renewing of the mind that the believer proves the perfect will of God (Rom. 12:2) for the exercise of the differing gifts of grace (Rom. 12:6). This certainly coincides with the principle illustrated by our Lord Jesus Christ with respect to faithful service (Luke 16:10). Our service begins here in the local church. Failure to discern the wonder, the glory, and the spiritual potential of the local church will prevent it from being that witness before the world which was intended by its very existence as the local manifestation of the new humanity created in Christ Jesus. Instruction in the uniqueness and composition of the local church was employed by the Holy Spirit to correct the carnality and abuses in Corinth, where they were not discerning the Lord's body despite the prevalence of genuine spiritual gifts (1 Cor. 12:27). Perhaps we have not been reminded often enough that the genuine phenomena--speaking in tongues, for example--were not then an evidence of spiritual maturity, nor did the presence of unusual gifts produce holiness! Understanding church truth and its local applications is the best safeguard against falling prey to the soulish enticements of the modern, spurious charismatic movement (Eph. 4:14). Furthermore, it is written that when principalities and powers in heavenly places observe the local church in its proper function, these beings marvel at the evidences of the manifold wisdom of God (Eph. 3:10). What does the devil see in our churches?! Perhaps we ought to think about this. Where, but in the local fellowship, are we first to feel and express love for the brethren? At least fifty times we find this admonition. Who can fail to see the immediate application to the brethren in the local assembly? Of course, the application also extends to believers beyond the local group, but it does not warrant abnegation of the local responsibility. It should be obvious that the man who may profess great love for other organizations, while showing little or none for his local church, is not in the will of God. It is the will of God that local churches evidence His life--which is not synonymous with activity--and present a pure testimony in function, not only in professed doctrine. The bulk of the apostolic admonitions--too numerous to list here--have to do with behavior, one-mindedness, and interpersonal relationships to be cultivated in the local setting, as befitting constituents of the new humanity created in Christ Jesus. We should be thinking organism, not merely organization, because God's primary witness unto Himself in this dispensation is the local church. Many churches have failed the Lord by disobedience, and in the process of time--through the demise of saints and the acquisition of unregenerate members--have ceased to be real churches in the apostolic meaning, though the organizations may have continued. We have an obligation to perpetuate a pure testimony for Christ. Therefore, a correct concept is imperative in order to let the true light shine. The risen Lord showed John seven golden lampstands (Rev. 1:12). Some had already become disappointing; one had left its first love (2:4); one tolerated the doctrine of mixture (2:14); another seemed too paralyzed to deal with a false prophetess (2:20); one was in a state of spiritual deadness (3:1); and the pastor in Laodicea was informed of the prevailing lukewarmness that was repulsive to the Lord (3:16). "Look to yourselves, that we lose not those things which we have wrought, but that we receive a full reward" (2 John 8). The world sees institutional Christianity as an anachronism, fading in significance and to be replaced by a more advanced form of ecumenism, not so much by organizational mergers as through charismatic movements and a religion professing social concern. Some formerly conservative churches have thought themselves likely to be outrun in the race for recognition and the world's approval, and have yielded to pressures to share in questionable programs or to adopt novel methods in evangelism in order to accomplish what God never intended. We are not concerned over what the world thinks or predicts. Nor should we be swayed by this spirit of competition either to reach men or to please men. We are not a part of apostate christendom nor participants in popular religion. We know that local churches, consisting of Scripturally-based, born-again believers in Christ, are in God's plan and purpose. We do feel more than a little concern if and when we detect in our midst any lowering of the morale, any tendency to try to impress the world, or any lack of emphasis upon true function and purpose of the local church. When misunderstandings arise or when the numerical growth seems to compare unfavorably with other endeavors or associations, it strengthens the inner man to let the Word of God reassure us that the local church is God's idea, that it is an institution ordained of God and exists to please and glorify Him! Unless the local group is an abortive product or formed through caprice, there is no reason to doubt its purpose--a body in which it pleases God to manifest Himself. Is it not a vital part of that great mystery which God designed in His wisdom before the foundation of the world? It is (Rom. 16:25; 1 Cor. 2:7). Much organization can blur the fact of the mystery of organism. The mundane often hinders its full and proper development. Nevertheless, God has so decreed that He would have the local body as His dwelling place. Therefore, even if the regenerated are few in number in any place, there is glory because of His indwelling. The size of the roll or treasury does not impress the Lord. It is holiness that pleases Him. Any subconscious yielding to a Roman Catholic view with its empire concept and assuming that "the church resides in the clergy" distorts the Biblical picture. To the extent that this view prevails psychologically, the emphasis tends to be placed on ministers while the local membership is viewed as merely followers or adherents rather than as an organism, vital in being. Hence, the concept of a supernatural collective testimony for God is lost. We can also miss the importance of the local church by overlooking its place and prominence in the pattern given in the Scriptures. This oversight is abetted by some of the accepted commentaries which attribute most of the applications of church truth to the totality of believers, i.e., the church universal, whereas the New Testament places great emphasis upon local assemblies. Sometimes local churches are not held in higher esteem because of unfortunate personal experiences. After having observed some local congregations in which one noted the frailty of man, ineptness in leadership, or frustrations due to an unsatisfactory form of organization, one can become so aware of problems that one overlooks the potential. The local church will then be seen as necessary only up to a point, hardly deserving of an all-out commitment to its preservation. It is easy to become enamored with the publicity given to other institutions which seem to be progressive and prospering. In comparison the local church seems to lack glamour. If it is not seen as God gave to the Apostle Paul to see it, the local church will just be taken for granted rather than as the initial company on which to prove and practice the will of God (Rom. 12:2, 4-5). A pastor often inherits the problem of an untaught congregation which has a program established by tradition and an erroneous or very limited understanding of itself: at worst, barely holding together, constantly in danger of fragmentation; at best, merely trying to be an evangelistic center. If the shepherd is not gripped with a conviction based on God's revelation as to the true nature and proper function of the local church, can he do otherwise than try to adapt to the status quo and hope to see at least a few souls saved before he leaves? If only he could be helped to see the potential in the revealed plan of God! Another factor, perhaps, is that our people are hindered in grasping the full significance of the local church because of our English versions which employ the word "church" instead of a more correct translation such as "assembly"�closer to the real meaning in the Greek. The origin and use of the English word "church" perpetuates an association with certain types of structures used for worship and meetings. The word "church" also lends itself to an ethereal or ambiguous connotation, whereas the word "assembly" enables the reader to more readily perceive in the context the applications to the local body. Undoubtedly the major reason for any lack of emphasis upon the local church and its potential is that we have not been praying according to God's will (1 John 5:14). Perhaps we have not prayed specifically for the local assembly as did the Apostle Paul: that its members would have the eyes of their heart opened to the written revelation to see the place, the priority, and the purpose of the local assembly (Col. 1:9). We should covenant to pray for one another that we all come to know and to comprehend what God has revealed to be the true glory�both present and potential�by the unity of the Spirit of Christ at work in the local assembly (Eph. 1:17-23; 3:18-21). The subject of the local church and its unique position in the plan of God should be revived with in-depth study in the schools which profess to prepare missionaries and pastors. Merely to examine forms of contemporary organization�this kind of government or that kind of practice, etc.�does not get to the heart of this matter! Unless the Holy Spirit's revelation of church truth and how this focuses upon the local church is impressed upon mind and heart, the aspiring young minister will be sorely handicapped. It is amazing that the generally accepted practical importance of local churches does not compel a closer study of the Epistles. In our time and in the system of thought and practice in which we find ourselves, the well-being of local churches should merit prayerful consideration. In the local assembly there is teaching and challenge to service. From it young people enroll in Bible schools. From its membership comes support for schools, missions, and other organizations. In it regular prayer meetings are held, interceding for so many enterprises. To it institutions direct their financial appeals. The practical value of the local church ought not be underestimated. Nevertheless, the source from which so much help is drawn receives but scant recognition. Much seems to be expected with but a minimum of serious thought as to the true purpose of the local assembly. Perhaps our system is not correct. This thoughtlessness can become abuse. Church doors are assumed to be open to any representatives desiring to present their unique ministry. The local assembly is expected to accept without hesitation�often without prior consultation with the pastor�the announcement of an evangelistic team that is coming to town. Full cooperation by the local church is taken for granted. Some radio ministries seem unmindful of the local church's priority in God's order, its needs and problems, yet actually rely to a great extent upon support from its members. Were it not for Bible-centered churches�many comparatively small and struggling�these institutions could not progress, probably would not long survive. In not a few places the membership seems to assume that it exists chiefly to support other organizations. We have allowed this attitude to develop over a long period. In many minds the Scriptural position of the local church has receded, the concept is organization, and the unique character and purpose of the local assembly are ignored. Bible churches are eager to advance the cause of Christ. We have no quarrel with cooperating in worthy causes, but we seriously question the propriety of any program that relegates the local assembly to a place that is not consistent with its high calling. Assuming that the system which has evolved is correct (something this writer is not ready to fully concede), it would appear as a practical matter that stronger and purer churches would by their counsel and spiritual influence insure the stability of these auxiliary institutions which are constantly subjected to temptations to modify their standards or to make compromises with the world. It should also be pointed out that converts need instruction. Willingness to receive instruction is an evidence of discipleship. Something is wrong if our converts disdain service in the local assembly and avoid the discipline involved (Luke 16:10). There is evidence that some have gone forth in pursuit of their own concept of service, seemingly convinced (even after having received some formal theological training) that they were to start something novel, something more exciting, and have become parasites in local churches. It can also be said that the better a man understands the will of God in his home church the more valuable will be his contribution in another, should his firm relocate him in some other area. Blessings can be far reaching when the local church does not limit the power of God within. It has an influence upon missions, too. The missionary's aim ought to be the establishing of stable testimonies that reflect an appreciation for God's plan. He ought to avoid duplicating western complexities of organization or imposing on people of a different culture and economy that which is peculiar to the American scene. He must know God's plan and be thoroughly committed to it! If the foreign missionary is not "sold" on the Biblical concept of a local church, he is not likely to have an impelling urge to see such a body established. If his only concept of the churches in his homeland is that they are sources of support, it will be reflected in his ministry. Furthermore, if his concept should in any way be warped by what he has seen of carnal organization at home, he will have no desire to see that same thing repeated in another country. From the record of the Apostle Paul's ministry we learn that the Lord seeks to establish properly ordered testimonies, local churches which are the incarnation and manifestation of Christ by the indwelling of the Holy Spirit. Therefore, it also behooves us, whether in starting a new church or in guiding one already established, to avoid guesswork or copying what man has constructed. We must see its purpose and potential, adhering only to the blueprint provided in the Scriptures. The local body of saints is so highly valued by God that He calls it His temple and pronounces a most severe judgment on any who defile it (1 Cor. 3:16-17). It is amazing that exegetes overlook how much there is in the New Testament (specific as well as implied) about the local church. Of far greater importance than any favorable evaluation we might give to this sacred institution is what it means to our blessed Lord Jesus Christ, "who loved the church and gave Himself for it" (Eph. 5:25). We should believe in the local church, not because of nostalgia, nor because of sentiment (many of us having received our deepest wounds in the local setting), but because the local church is sacred to the Lord and His chosen vehicle for the manifestation of Himself in our time. The local assembly should take precedence over all other units because it is formed according to the purpose of God to possess and to radiate His glory. It is not merely incidental to the divine plan for this dispensation. It is very important and has a potential for a most gratifying service. A veteran minister once said something like this: "Despite all the emphasis on the local church in the Bible, it appears to be the least understood, the most underrated and the most abused of all that pertains to the Lord's work!" We must realize that Satan is constantly utilizing the deception of "the mystery of iniquity" (2 Thess. 2:7) to prevent God's people from understanding the mystery of the church as the body of Christ (Eph. 1:23), causing the real significance of the local church to become blurred. Before the foundation of the world God envisioned and planned to have a special and distinct entity, even the mystical Body of His Son in which to live, composed of born-again believers who would share with Christ in all His glory, be a witness unto God on the earth, and then reign with Christ throughout the ages to come. This He calls a "mystery" or secret which was not disclosed to any man in Old Testament times nor made known while His Son, our Lord, was on earth. Not until after the Lord Jesus had returned to Heaven did God begin to reveal the secret He had held in His loving heart so long. Paul writes that he learned of this by Divine revelation (Eph. 3:3). Now God wants His saints in the local church to know the "riches of the glory of this mystery" (Col. 1:27). The revelation that Christ has a body here in addition to His glorified humanity in Heaven is involved in the preaching of the Gospel (Eph. 6:19). This requires great boldness and clarity, not just giving out the historic Gospel as defined in 1 Corinthians 15:1, 3-4, but according to the revelation of the mystery which was kept secret since the world began (Rom. 16:25). Boldness is required to preach the "mystery of the Gospel" because (1) it involves God's foreknowledge and election which the natural mind resists; (2) it runs counter to man's pride of wisdom and love for programs since it deals with the unspectacular; and (3) it insists upon an equal standing before God in the local fellowship nailing social bias to the cross. The mystery is not christendom, nor all institutions in general that use the name of Christ. This is a spiritual Body, chosen in Christ before the foundation of the world (Eph. 1:4) and, strictly speaking, known only to God (2 Tim. 2:19). To appreciate the local church in the New Testament sense we begin with a recognition of the uniqueness, sanctity, and supernaturalness of this Body and all of its spiritual parts. If the whole is holy unto the Lord, its parts are holy. Furthermore, since one spirit of man joined to the Lord (1 Cor. 6:17) is a new creation (2 Cor. 5:17), a visible group of such have the same eternal life of God, even Christ "who is our life" (Col. 3:4). Therefore, the local church is "an habitation of God through the Spirit" (Eph. 2:22). A local assembly of true believers in Christ is no less related to the supernatural than the invisible whole or than the individual saint. The miracle of regeneration is equally real in each. So, when we speak of the local church we do not mean less than a group of saved persons, each one being indwelt by the Holy Spirit (Rom. 8:9). But that is not saying it all! Is every gathering together of Christians a local church in the New Testament sense? Is any study group, association of believers or missionary activity the same as a New Testament church insofar as saved people are involved? The answer is, of course, no. There are several reasons. There are certain definite distinctives which are readily discerned when reading the Acts and the Epistles which distinguish the local church from other forms of association. These involve objectives, organization, operation, and obedience to certain specific apostolic instructions pertinent thereto. The same Lord, Who outlined His plan for the propagation of the Gospel of the grace of God (chiefly through personal evangelism) and the world-wide extension of the testimony of Christ (the establishing of local churches), has also provided the blueprint for the structuring of the local church so that men won to Jesus Christ by the Gospel would understand the function of this collective witness. Usually a pastor has the advantage of having had some years in which to accumulate detail and to obtain a comprehensive view. He can look upon this subject from the spiritual vantage point of the totality of Scripture, whereas the average believer may not see the significance of the local church as clearly. A pastor needs much patience in providing the teaching that the subject requires and needs to pray much as did the Apostle Paul for the illumination of the hearers (Col. 1:9). That the great mystery, hid from the sons of men in ages past but now revealed, refers to the church is not disputed, even if not always understood. It is that new creation in Christ Jesus distinct from Israel. Yet, not all believers fully appreciate the centrality of the local church in this revelation: an organism through which He desires to manifest Himself. In fact, believers do not always evidence appreciation for what they are in Christ; perhaps having assumed that they are supposed to try their best to duplicate His earthly ministry to Israel, whereas the Lord desires to manifest His heavenly life to them and in them! Unless we are alert to this, we might fall prey to a current version of the old liberalism that was the downfall of the major denominations. The liberals coined the slogan "back to Jesus" and stressed confining reading about Christ to the Synoptic Gospels. The untaught thought the slogan sounded good, and when they tried to construct a Christianity out of the Synoptic Gospels, they surrendered to apostasy. Did not the Lord Jesus Christ predict and promise a new and intimate biological relationship to be realized after His ascension and the coming of the Holy Spirit (John 14:19-21)? As believers we ought not neglect so great salvation (Heb. 2:3), but praise the Lord for the precious promises by which we may partake of the divine nature (2 Pet. 1:4), that as His possession we might reflect His virtues (1 Pet. 2:9). We cannot be reminded too often that we were predestinated according to His purpose to the praise of His glory (Eph. 1:11-12), and that the major aspect of our calling is not our activity for God but that by allowing the Word of Christ to dwell in us richly (Col. 3:16) His resurrection power (Eph. 1:19-20) will work in us. Hallelujah! When such people are formally and properly united together into a local assembly, according to the design of the Holy Spirit and not man, there will be an effulgence of practical holiness in an atmosphere of love. So much depends upon what is in our minds and whether we are thinking spiritually, whether our reasoning is within the framework of revealed truth with the concept of organism. O how we need discernment to see the local church as God sees it and by the transforming of our minds submit to what He wants to do in and with us! Will we then get a lot of new members? Maybe, maybe not. What difference does it make? Is it not His purpose to glorify Himself in His saints? For that purpose He does not require vast numbers, only yieldedness! When we really know the Lord and trust Him, He will bring credit to His grace. That comparatively small flock in West Overshoe will not have less of the glory than the larger one in Urbania. Each will be a collective witness, pleasing unto the Lord (John 17:22-23). When the local church is orderly, its members well-taught and well-fed, out of its services of worship men and women will go forth into their daily pursuits to properly represent Christ and to point the lost to the Saviour. The whole community may not be won, but the community will know that a witness is in its midst. Not all the souls we would like to see saved will respond, but those who are drawn by the Father will come to Christ (John 6:44,65). We must get back to the New Testament concept of the local church and understand that it is God's primary witness unto Himself, chiefly by the way it functions as an organism under its Head (Col. 1:18; Eph. 4:15-16). "There should be no schism in the body; but that the members should have the same care one for another.... Now ye are the body of Christ, and members in particular" (1 Cor. 12:25,27). It was the Apostle Paul's prayer that believers "be likeminded one toward another according to Christ Jesus: that ye may with one mind and one mouth glorify God...." (Rom. 15:5-6). Because this collective witness is to be a living portrait of Christ, the local church must be careful not to distort the picture. Therefore, teaching is necessary so that the members will know their objective and have spiritual understanding in structuring what may be necessary with respect to organization. Since God is so concerned about quality, let us not become obsessed with quantity. Let God give the increase, and He will. With respect to organization or government we find a comparatively simple form when studying the Book of Acts and the Epistles. The basic system is as effective in a more complex society as in a primitive culture. The local church is to be independent. It is not to be a democracy. A democracy is neither practical nor Scriptural. (It is the Scriptural pattern that we must follow.) There are certain aspects of democracy. These may be considered later. The essential form of government is to be by a collective leadership�two or more spiritual elders, (the number according to the current necessity), who together have the oversight (Acts 14:23; 20:17,28; Heb. 13:17). This rule is to be parental as in a family, not autocratic (1 Pet. 5:2-3). One of the distinctives that we referred to earlier involves discipline. Discipline is related to discipleship and thus to all aspects of the total testimony of the local church. It should not be limited in our thinking to chastisement but seen in relationship to the training of a disciple and the maintenance of such standards as will safeguard the purity, peace, and reputation of the assembly. Discipline is one of the awesome duties peculiar to the local church as the pillar and ground of the truth (1 Tim. 3:15). It is to the local church that the observance of the Lord's Supper has been committed. How important that the believers discern the Lord's body, for the partaking of the elements is the fellowship of the body of Christ (1 Cor. 10:16-17). Here again is the emphasis upon oneness. This function of the local church is another reminder of its primary purpose�to manifest Christ. The local church must be important to our Savior or Satan would not be so eager to becloud the subject�which he manages to do quite well. We have also seen how he attacks the local church. The devil knows the Scripture. He knows that the local church represents Christ to the world. How many pastors have been broken-hearted because the enemy succeeded in causing divisions that marred what should have been, and could have been, a good witness unto the Lord! Satan's wiles are many. He can deceive a minister into thinking that the only purpose of the local church is evangelization. After doing his utmost in urging the people to do their best and then scolding them for not having done more, he leaves, feeling no more can be done in that area. The congregation is left without having been instructed in God's purpose. The enemy is happy because the portrait of Christ was never developed. Any minister who gets impatient with God will be tempted to rely upon his natural ability to start a lot of activity, develop what appears to be effective promotion, and launch special programs with much publicity, all in the name of evangelism. These are the works of the flesh. Much enthusiasm can be whipped up with impressive looking activity, and the minister considered a success in the eyes of man�"a real go-getter for God." But this is not what God wants. He wants to establish a witness unto Himself that reflects His glory. The local church is not just another rescue operation; it is the temple of the living God in which He discloses Himself to His people and brings glory to Himself by their loving response. There is an unmistakable emphasis upon the local church in the New Testament. The Holy Spirit in the Acts and the Epistles focuses the reader's attention upon the position and the function of the local assembly as being God's primary witness unto Himself in this age, as most precious to the Lord and also subjected to subtle and vehement attacks by the devil. The historical record shows a definite system as an essential part of the Holy Spirit's plan for the extension of the witness of Christ. The pattern that emerges is clearly the establishing of local churches as the Holy Spirit's strategy�something worth remembering in our current promotion of home and foreign missions. The progress of the gospel to and beyond the Jewish synagogues, accomplished chiefly through personal evangelism and the diligent efforts of Paul and his associates, eventuated in Christian assemblies as converts began to meet together for mutual edification. These were not merely the natural consequences of converts wanting to be together. They were in the design of the Lord of the harvest for the realization of His purpose to glorify Himself in them. In viewing the total picture from Pentecost to the completion of the New Testament canon this pattern stands out, and we can believe that the establishing and strategic location of local churches was important to the Lord and in accordance with His wise and sovereign superintending. In fact, this is the only pattern! We find the words "church" and "churches" over one hundred times in the New Testament, and in the overwhelming majority of cases where these words occur the application is to the local church. The use of the word "church" in our English language Bibles tends to obscure the real meaning of the Greek ekkl�sia, which is "assembly." When one substitutes the word "assembly" for the word "church" in every instance, one recognizes more readily the prominent place that the local assembly has in the Book of Acts and in the Epistles. This institution of God, so often misunderstood today, ought not be undervalued but held in high esteem, with dutiful attention given to its vital place in God's program. One conservative theologian estimated that at least seventy-five percent of the New Testament doctrines concerning the church refer to local churches. We suggest that if you catalog all the verses containing the word "church"�remembering that it means "assembly"� and check the context in each case, you will find that the ratio of local applications to those which are strictly universal is close to nine to one! Much of the apostolic writings were to and for local churches and committed to them for preservation. Nine of the Epistles were written to local assemblies which were expected to make church truth applicable to themselves. It pleased the Lord to disclose His purposes to local assemblies and have them as custodians of His Word. Seven letters in the Book of the Revelation are to local churches, and Paul's letters to Timothy and Titus were to men who were overseers of local assemblies of Christ. The local church was certainly prominent in the heart and ministry of the Apostle Paul. This man who was among the first�perhaps the very first�to receive the revelation of the mystery (Rom. 16:25; Eph. 3:3; 5:32) carried a special burden for the training and edification of local assemblies. It was given to him to see the local church as precious to the Lord Jesus (2 Cor. 11:28; Eph. 4:13; Eph. 5:27) and central in His plan for manifesting Himself (Eph. 3:9; Col. 1:25). We do not and must not overlook the revelation of the total mystery pertaining to the church universal, but the prominence of the church local as the visible expression thereof and its place in the furtherance of the testimony of Christ impose upon us a responsibility to examine all the inherent implications. The Holy Spirit's basis for Christian ethics is in the mystery hid from ages past but now revealed to the saints (Col. 1:26); and the full, practical outworking of the apostolic exhortations are seen in the framework of the local assembly. The priority of the local assembly as God's primary witness unto Himself in the post-ascension program of our Lord is most convincing. We have already noted how the Apostle Paul labored, taught, and fervently prayed that local congregations might become fully aware of their high calling and assured of their importance to God's glory. The Scriptures teach the uniqueness and sacredness of the local church and place great emphasis upon this institution of God in which He has purposed to particularly manifest Himself (Col. 1:27) and make known His manifold wisdom unto the intelligences in heavenly places (Eph. 3:10). This is not said of other institutions. Movements may arise and agencies come into being for the furtherance of the Gospel, but these are auxiliary to the chief witness. Organizations can be formed through which churches coordinate their efforts for a particular purpose (sometimes by the leading of Holy Spirit, but often by the inventiveness of man), but such enterprises are relatively transient with a limited life expectancy. God has a master plan. It is a mistake to yield the priority of the local church to other associations. Very few retain their original purpose for being for very long. Few retain their orthodoxy beyond the second generation. His plan is best. Denominations have been used of God. They have certainly made valuable contributions�especially in times past�in the application of some neglected doctrines, furthering Christian education, and presenting a challenge to develop theological clarity. However, we must concede that the denominational concept lacks a Biblical warrant and is at variance with God's revealed ideal. God can use a variety of instruments, including the secular and material, but we ought not be content with any substitute for what He has shown to be His preference. The Acts and the Epistles show God's plan to be the establishing, the education, and the organic function of independent local churches. This has the priority and is worth suffering for (Col. 1:24; 2 Cor. 11:28). Although saved people may have various reasons for fellowshipping and organizing, there is something very distinctive and peculiar about the New Testament church. The resurrection and ascension of our Lord Jesus Christ brought in a new order. By the coming and indwelling of the Holy Spirit, believers in Christ are incorporated into a spiritual organism. Each believer is a new creature, a new creation. The properly ordered local company of such constitute the local church. This assembly is peculiar in its authority, polity, government, discipline, worship, and representation of Christ. The local church is God's primary witness unto Himself in this age, His peculiar method for bringing glory to His name, His repository and protector of truth, and His chosen method for dealing with believers. One is filled with awe and wonder when seeing the descriptions of the local church in the Word: "the assembly of God" (1 Cor. 1:2); "the assembly which is His body" (Eph. 1:22-23); "an habitation of God through the Spirit" (Eph. 2:22); and "the pillar and ground of the truth" (1 Tim. 3:15). There is much of the supernatural in these terms. The Holy Spirit's definitions of the local church reveal that the regenerated people comprising this entity are, in their collective oneness, an organism of Christ. The Lord owns, lives in, and has designed the local assembly to exemplify truth and to radiate His life. The passages speaking of His glory in the church�present and potential�further emphasize the extraordinary character of the local church. Accepting God's Word on the peculiarity of the local assembly will produce reverence for this body and prevent taking it for granted. The sin of counting it as common or incidental borders on the profane. The numerous allusions to the peculiar distinctive of the local assembly, as that body in and through which the Lord wills to manifest Himself and to perfect His saints, ought not be ignored in any generation. In fact, the composite picture�the oneness, the mutual love, and the coordination of its members in subjection to our Head�represents and portrays Christ Himself. The conjunctions "wherefore" and "therefore" (meaning "on account of"), words so prevalent in the Epistles of Paul, call attention to this fact as being the underlying reason for the manner of life enjoined upon born-again Christians. Apart from the basic premises of revealed church truth as applied in the local congregation, it is impossible to teach Christian ethics properly! The distinctive and awesome duties that devolve upon the local church�exhibiting and preserving the truth, observing the Lord's Supper, exercising discipline and exposing heresy�are indicative of a high calling in time. They have a definite relevance to the contemporary outworking of the eternal purpose of God as revealed in the great mystery (Eph. 5:32; Rom. 16:25; Col. 1:26; 2 Tim. 1:9). A summation of God's purpose in the local church is in 1 Timothy 3:15-16. There the Apostle defines the company of believers in Ephesus as "the house of God which is the assembly of the living God, the pillar and ground of the truth" (v.15). Knowing what God has said on this matter is an incentive to correct behavior and a boost to the morale of any young Timothy. "God was manifest in the flesh, justified in the Spirit, seen of angels, preached unto the Gentiles, believed on in the world, received up into glory" (v. 16). (1) In Christ God was once manifested in sinless flesh and a holy human nature. He now wills to yet manifest Himself in our humanity despite our fallen nature (1 John 4:17). (2) Luke tells us that Christ was filled with the Holy Spirit and led by the Holy Spirit (Luke 4:1). In Romans 1:4, it is written, "And declared to be the Son of God with power, according to the Spirit of holiness...." It is to the members of the body of Christ that the Spirit attests His witness (Rom. 8:16), and "by one Spirit are we all baptized into one body...now ye are the body of Christ, and members in particular" (1 Cor. 12:13,27). (3) Angels attended Christ's incarnation, birth, testing in the wilderness, His agony in Gethsemane, His resurrection, and ascension. The local church is under close observation by angels, too (1 Cor. 11:10; 1 Pet. 1:12; Eph. 3:10). (4) Christ was made known to Gentiles�wise men came from the East after His birth, Roman soldiers heard, the Syrophenician woman called upon Him; and at His death the centurion exclaimed, "Truly this man was the Son of God." Through the faithfulness of local assemblies many nations now hear of Him; the influence is worldwide (Rom. 1:8; 16:19). (5) There were those who believed on Christ when He was on earth. So even now, there are those in the world who credit the local church with being true, respect the church, and believe its message (1 Thess. 1:8). (6) When our Lord's ministry was concluded He was taken up into heaven. The rapture (1 Thess. 4:17; 1 Cor. 15:52) will terminate this dispensation's primary witness as the believers are transported to Glory. Note that His miracles, crosswork, and resurrection are omitted, even though it was by His crucifixion and bodily resurrection that we were brought into this grace! We are not enjoined to duplicate the miracles. The particulars listed stress manifestations of a life rather than overt accomplishments. The local church is for the glory of God. On earth each congregation is to function as a body that evidences the power and indwelling of the life of God. Each one is to be seen as a manifestation of Christ in its locality, living the truth as well as preaching it. The bulk of the instruction and exhortations in Acts and the Epistles has to do with holiness and honorable interpersonal relationships in the local church (1 Cor. 11:27). Each congregation is to see itself as a "body," and organism, and not merely as an organization. This truth was employed by Paul as the basis for making correction in Corinth (1 Cor. 12:27; 14:33). The primary function of the local assembly is not preaching, but believers functioning as a body with coordination and in love (Col. 2:2, 19). Unless this is understood and made paramount in the thinking of leaders and members, the local church will fail as a witness. But when this truth is embraced by faith unto edification, the community round about will see a witness. The unsaved who attend its services will come under the conviction of sin (1 Cor. 14:25), and the members will be fed, empowered, and equipped to properly represent Jesus Christ in their daily pursuits (2 Cor. 3:3; Phil. 2:15). The existence of local churches was a fact ever present in the minds of the writers of the New Testament Epistles. A deep love and concern for the believers in the various assemblies surfaces again and again. Paul writes to the Thessalonians "as a father doth his children" (1 Thess. 2:11). He expresses himself to the Colossian church in these terms: "Who now rejoice in my sufferings for you..." (1:24); and, "I would that ye knew what great conflict I have for you..." (2:1). Paul certainly indicated his "care of all the churches" (2 Cor. 11:28). In fact, the way he wrote in his second letter to the church at Corinth is so touching that it convicts us of our tendency to take the local church for granted: "For out of much affliction and anguish of heart I wrote unto you with many tears" (2:4); "O ye Corinthians, our mouth is open unto you, our heart is enlarged" (6:11); and "For I am jealous over you with godly jealousy" (11:2). In his admonition to the Ephesian elders Paul said, "Therefore watch, and remember, that by the space of three years I ceased not to warn every one night and day with tears" (Acts 20:31). This is love for a church. In this connection, it bears emphasizing that the Holy Spirit also refers to the assembly as God's flock (Acts 20:28; 1 Pet. 5:2; 1 Cor. 9:7). The term brings to mind so many Old Testament passages which speak of the Lord's loving concern for His people. For the flock a faithful shepherd is willing to place his own life between the marauders and the sheep. When Simon Peter confessed to love the Lord Jesus, he was told to feed the lambs and the sheep (John 21:15-17). The Son of God, whose life blood had been poured out on Calvary's cross that sinners might be saved, could have emphasized a ministry of reaching the lost in this world; instead, He gave a priority to feeding and shepherding His lambs and His sheep. The burden for lost men and women will not be diminished when a genuine love for the Lord Himself is expressed in a loving concern for those who are His. The minister who seeks to do the work of an evangelist (2 Tim. 4:5) but does not feed the flock (1 Pet. 5:2) needs to reorder his priorities. The church is also to be cherished as God's heritage (1 Pet. 5:3). That He has His inheritance in the saints (Eph. 1:18) is said in the context of the local body of believers in Christ. Our love for our Lord Jesus Christ is to have expression in mutual edification. Of this we are reminded by such words as: "edify one another" (1 Thess. 5:11); "things wherewith one may edify another" (Rom. 14:19); and "let every one please his neighbor for his good to edification" (Rom. 15:2). It is to a local assembly that it is written: "...members should have the same care one for another" (1 Cor. 12:25). This grace was evident in the assembly at Thessalonica, for Paul wrote, "We are bound to thank God always for you, brethren, as it is meet, because your faith groweth exceedingly, and the charity [love] of every one of you all toward each other aboundeth" (2 Thess. 1:3). Leaders entrusted with the spiritual guidance of the Lord's own should have a deep, loving concern for the local church. We read that Paul gave his commendation of Timothy when writing to the Philippians. He knew Timothy had a sincere solicitude, being likeminded with the Apostle himself (Phil. 2:20). But not all who claimed to be in the Lord's work had that loving concern. Of them the Apostle wrote: "For all seek their own, not the things which are Jesus Christ's" (Phil. 2:21). Alas, and so it is today. Love for the church in Colosse was certainly evident in Epaphras, "...always labouring fervently for you in prayers, that ye may stand perfect and complete in all the will of God" (Col. 4:12). We learn a great deal about a man's heart as well as about his theology by his attitude toward the local church and his devotion to its spiritual health and preservation. The enemy hates what God loves. The local assembly in the New Testament sense is a pocket of resistance in the midst of the occupational powers of Satan and therefore of great annoyance to the god of this world. He will use any method he can�wiles, schemes, disruption, discord, false teachings, and overt persecution�to eliminate this testimony. The local church as an enclave in the midst of a hostile territory (1 John 5:19) must not relax nor allow itself to be deceived into assuming that a society under the sway of Lucifer is in any way a friend of grace (Gal. 1:4). When we allow the Holy Spirit of God to show us the significance of the local church through the composite description in the Word of God, He will give us a heart for its edification and for the perpetuation of its testimony. We certainly will not then allow ourselves to be a party to anything that would damage or retard the local assembly's potential as a witness unto the risen Lord. The believer should be willing to suffer and make sacrifices to help the local church, of which he is a part, to conform to the pattern and the purpose revealed in the Scriptures. We have already seen that the many exhortations to holiness are for the purpose of having the resurrection life of Jesus appreciated and expressed in the local body of believers. Therefore, the letters to the churches do not particularly stress promoting missions or evangelization, as we tend to think of these terms, but rather that the oneness and holy conduct of the members collectively manifest the life of God! For that reason so much is written about loving the brethren. When a local assembly is organized according to New Testament principles and functions as an organism, the attention of the principalities and powers in heavenly places is drawn to see the manifold wisdom of God (Eph. 3:10). This is faith working through love (Gal. 5:6). The enemy will not be particularly disturbed when Christians seek the spectacular or develop clever programs designed to make an impact upon the world. The enemy may even encourage such. But he seethes in choler when the local body evidences union with its Head (Col. 1:18), for that is the Lord's doing. It is that peculiar presence of the Lord that provokes the evil one! He can tolerate losing some of his subjects to the Gospel message, but his wrath is kindled when we love one another as saints and love the local church because it is an institution of God. The redeemed�together as the Lord's assembly�constitute an organism to be treasured. Each believer should be helped to see what the local assembly means to Christ and should become most appreciative of the precious privilege of being a part of the local testimony. Beware of an unholy spirit of independence that fosters a carnal individualism, e.g., "I don't need the local church nor do I intend to submit to its discipline;" or "I'll do what I think I am led to do." This spirit ignores the Lord's leading in His written Word (Rom. 12:2,5; Eph. 5:21; 1 Cor. 16:16; 1 Thess. 5:11-13). Members need to be taught the significance of a collective witness unto the Lord. The local church is His body in which it pleases Him to reveal Himself. This revelation ought not be ignored. "But now hath God set the members every one of them in the body, as it hath pleased Him" (1 Cor. 12:18). The love of which we have been speaking is the love of God shed abroad in our hearts by the Holy Spirit (Rom. 5:5) and in no way is this synonymous with the sickly platitudes about love heard in a decaying society. Nor is this love a tolerance of evil. Real love for the assembly is a fervent dedication to its ideal of a pure testimony for the Lord. If after much prayer and patient, faithful exposition of the Word some members refuse to be taught or cause trouble, they should not be retained as members in good standing. Only God knows whether or not they were ever saved. If we really love God's truth, we will put principle above expedience and follow through in applying the doctrine of separation. If a person is saved, he will benefit by the discipline. If he is unsaved, he should not have been accepted as a member in the first place. Love for the local collective witness unto the Lord demands this kind of concern. One of the reasons for the lack of cleansing is that leaders have not fully understood the real composition and purpose of the local church. Therefore, they have not loved it enough to be willing to purge out old leaven. The man who loves his family will not tolerate seducers or wicked intruders. Likewise, the church that desires to be what God has so clearly revealed must not try to find justification for entering into or remaining identified with an apostate organization. After ignorance has been dispelled by the teaching of the Word of God, there is no excuse for a group professing to have God's life to allow itself to be yoked together with unbelievers (2 Cor. 6:14). Some people do not understand the basic, underlying reason for God's law of separation because they are not aware that it has to do with maintaining a pure, united witness unto the Lord. They need to be taught that God's people represent a Holy God! When God calls a man to be a shepherd, He will give him a pastor's heart for the local flock. Unless a man has a deep, sacrificial love for the local church, he ought not present himself as a pastor! "And I will very gladly spend and be spent for you; though the more abundantly I love you, the less I be loved" (2 Cor. 12:15). These words describe a pastor's heart. Nothing less will do. Nothing else is acceptable to God. Here we should emphasize again that true believers, as individuals and collectively as an assembly, have the life of Christ indwelling. Testings and trials will come, but these will cause this supernatural and divine life to be manifested (2 Cor. 4:10-11). The local body, designed by the Lord, hated by the devil, and maligned by the world, is precious to the Savior. Its purity is His great concern as it represents Him before men and angels. The local assembly of born-again believers can and must be loved, and it is worth suffering for. As citizens we naturally have an emotional attachment to our native land. Some may get tears in their eyes when the flag goes by. However, not all love their country enough to make the effort or sacrifice to preserve its values. An analogy may be drawn with respect to God's institution�the local church. It is not enough to have merely a sentimental association with our local church, but we ought also by the grace of God to have a deep, heart-felt allegiance to it. "Christ also loved the church, and gave Himself for it...."
In the revelation of the divine mystery of the assembly of believers, the local body of Christ, the office of pastor is unique and ought to be clearly understood that it is a "gift" (Eph. 4:11) and evaluated in that context. Three New Testament Epistles (1 and 2 Timothy and Titus) were written to and for men selected by the Lord for this ministry. The supernaturalness of the local assembly and the position of the pastor in this divine scheme merits reverential study and diligent application. We would do well to see this gift as pastor-teacher, i.e., shepherd-instructor. Others may also be made teachers, but the pastor occupies a place in the divine plan that is distinctive and awesome. There is a difference between natural talents and supernatural gifts. Talents come through the genes of natural inheritance; gifts directly by the Lord. Talent comes from the first Adam and, however attractive, is still a part of man's fallen nature. The gift is by the Holy Spirit, as it pleases Him. Therefore, talents and aptitudes cannot be considered the determining factors in ascertaining God's will as to service, contributing perhaps but not necessarily conclusive. Aptitude tests contrived by man or the results of what is fed into a computer are hardly the Lord's way of taking a Peter from his fishing business or a Paul from his law practice into special apostleships. No man, however naturally talented, can make himself a pastor in God's sight. No amount of academic studies or theological degrees can produce a pastor, for this is a divine choice by the sovereign Holy Spirit. The pastor IS a gift and has THE gift! Man cannot and must not try to make pastors of men. That is solely the Lord's business, His choice. Either the man is God's gift or he isn't. He either has the gift or he doesn't. He who is so called by God to be a shepherd will know it. He will not require the backslapping of men to bolster that inner compulsion. If obedient to the Lord, he will make full proof of his ministry (2 Tim. 4:5). This is not to say that God's chosen instrument is at once and automatically thoroughly furnished (2 Tim. 3:17) nor to infer that he need not stir up this gift of God (2 Tim. 1:6). This involves training heart and mind in the Word. If called of God, he is called also to prepare that the total personality be disciplined. The Lord is not limited to any one form of preparation. In one instance the Arabian desert suited God's plan better than a time spent in Jerusalem with the elders. In every case one needs to have a lofty concept of who God is, become saturated with the Word of God, and be fascinated with God's expressed purposes. Wherever the study, personal initiative may be of greater importance than what is offered in a classroom. When the Lord calls to show His choice, this is also according to His own will. God chooses the time to impart this to His servant, as well as the way. It is seldom spectacular, but always deep. The choice is God's, not man's. What the man does about it is, of course, important. We ought not persist in assuming that any school of men can manufacture a pastor. Only God can make this gift! The best that formal Bible schooling can do is to assist the man who has been sovereignly selected by God in his absorption of the Word of God. This includes intercession and counselling. To be a shepherd is by appointment and not by attainment. It is by the will of God and not by works or by worth. No man ought to take this honor unto himself. Neither a sincere desire to serve Christ nor an aspiration to preach to others is the same as being designated by the risen Lord as His undershepherd. The carnal system evolved in Christendom prescribes certain subjects for study, looks for favorable personality traits and natural aptitudes, and insists upon endorsement by a hierarchy. Then it sets up its product before society and says: "This is a clergyman." Such a man may be saved and sincere, but he is merely the product of a man-made religious system and qualified only to serve that system. But the Lord, Who seeks counsel from no man, may choose from the womb a prince with an ungodly father, a herdsman in Tekoa, a boy with a godly mother, a fisherman in Galilee, an introvert, an extrovert, a civil service officer or a young lawyer from Tarsus and say, "I have chosen you and ordained you." With such a selection a man will find it hard to be disobedient to the heavenly calling. If we really understand the uniqueness of the local assembly�it is supernatural�and see its primary purpose in God's plan as discussed earlier, we are better prepared to recognize the man of God. On the other hand, if we do not fully appreciate God's purpose with the local assembly, we shall become occupied with looking at the flesh�an organizer, a musician, one who seems to have a knack for interesting young people, a promoter, or an evangelist�rather than a man chosen by the Holy Spirit and filled with the Holy Spirit to serve as an expositor of the written Word of God. The denominational system required certain positions, including what it calls the pastorate, but that is not necessarily synonymous with the apostolic concept. Therefore, it is better to adhere to the revelation of the mystery, see the pastor as indicated in the Epistles, and educate the local church in exercising discernment in selecting a shepherd. Education for the man called of God does not cease with his graduation from a school! All through his career he must "give attendance to reading." No one will exhaust in his lifetime the mine of wealth�doctrine, history, prophecy, poetry, literary excellence, practical psychology�in the sixty-six books of the Biblical library. He would be well advised to read other selected material so as to keep himself informed of religious movements and the theological trends, in order to intelligently safeguard the flock. Wolves have a tendency to modernize the tailoring of their sheep's clothing. The shepherd is God's man, ordained by Him to feed the flock, to lead the flock, and to protect the flock. His ministry is not primarily to the community-at-large but to God's people. As we have noted in earlier chapters, constituents of an assembly well-fed, properly led, and lovingly protected will together exemplify the mystery of godliness; and then as individuals, pastor included, will properly represent the Gospel in their daily lives, which is the basis and genius of missions. When the risen Lord instructed His aged Apostle, John, to communicate to local assemblies in Asia Minor, the letters were addressed to the pastor in each case (Rev. 2,3). The pastor was to see himself identified with his people. This included both approval and disapproval from the Lord. In these letters one recognizes again the elements of feeding, leading, and protecting. The shepherd-teacher should keep in mind that the flock, purchased with the blood of Christ, is more in need of fresh, applicable messages from God's Word than for the pastor's society. At no time ought he forget how the pastor is described in the Word: "minister of Jesus Christ" (1 Tim. 4:6); "man of God" (1 Tim. 6:11; 2 Tim. 3:17); "soldier of Jesus Christ" (2 Tim. 2:3); and "servant of the Lord" (2 Tim. 2:24). A Bible-centered church will seem strange to those who are enmeshed in the procedures and traditions of institutionalized Christendom. The Bible-centered assembly will take the apostolic view of the pastorate. Whether he be selected from among the local spiritual elders or called from another area to lead the local church, the criteria will be the evidence of the Divine call and the Spirit's enduement, not natural skills and academic certificates. A local church being guided by what is so evident in the Scripture will also know the significance of shepherding, make no unreasonable demands upon him, and recognize him for what he is in God's plan. The pastor is a man and has experiences and needs like other men. It is often embarrassing for him to talk about his feelings, frailties, family, or finances. He may often wish that someone would think about this. Someone has. In King's Business, dated April, 1959, a heartwarming article appeared written by Helen Frazee-Bower entitled "Pastors Are People." In her opening paragraphs she expressed her personal appreciation for pastors who had fed her from God's Word and referred to this calling as a "most exalted position." Then she went on to call attention to the fact that "they too are people." Pastors are people! They have feelings. Few of us would think of criticizing a fellow member of the congregation for the way his wife dresses, or his children behave, but we seem to think it is our business to keep an eye on the pastor's family. Did you ever hear, "Why are preacher's children always the worst?" The answer, of course, is that they are not. It is only that more people observe them.....What would be considered rudeness, if spoken of anyone else, is sometimes said of the pastor's family, with an actual sense of having fulfilled a righteous obligation! Pastors are people! They get tired. They have physical limitations. It is no easier for them to work constantly than for any other human being. Even Jesus became weary; else why was He asleep on a pillow during the storm at sea? Our individual troubles are not unique to the pastor: they are part of a long succession of similar experiences covering the entire congregation. No matter how much one may long to do for others, human strength cannot be stretched beyond a certain limit: there is a breaking point for all men. One of the finest sermons I ever listened to was preached by a pastor who had been up all night with a dying man. His message was undoubtedly enriched by this experience. Nevertheless, his life was shortened because he spent his strength too freely for his people. Because few pastors will spare themselves when they feel they are needed, it becomes the obligation of the congregation not to make thoughtless demands upon them. Pastors are people! They make mistakes. Just because a man is called of God to preach the Gospel, he is not necessarily placed beyond the possibility of making human errors. The Scriptures say that we shall be like Jesus�"when we see Him as He is." But until that time, we are in the flesh and are heirs to the weaknesses of the flesh. All of us are capable of making wrong choices, unwise decisions, unfortunate remarks. We all exhibit flaws and make errors....Pastors will sometimes make mistakes. These are God's concern, not ours. The Scriptures say, "To his own master he standeth or falleth." Indeed they say more, "Yea, he shall be holden up: for God is able to make him stand." Pastors are people! They need privacy. Because men of God, like men of medicine, are on twenty-four hour call, their private life is constantly invaded. The pastor has less time with his family than the average man�but needs more. He, who gives constantly to others, has need of the comfort, understanding, and warmth that are basic portions of life within the family circle. Unnecessary phone calls to his home rob him of his all-too-brief opportunity to be alone with his own....It is God Himself who "setteth the solitary in families;" so there must be something there that a man can find nowhere else. The pastor's privacy needs to be guarded by his congregation. Over against this fact there stands another opposed to it, but equally true. Because pastors are people, they are often a little lonely. The very nature of their task makes them that way. They have been set apart by God for a holy work, and they must spend much time apart with God, in preparation for that work. For this reason they may often seem aloof. The man in the pulpit has been dwelling "in the secret place of the most high," and it is as unfair to expect him to come suddenly down to earth at the sanctuary door, as it would be to expect Moses of the shining face to come down from the mountain to inquire, "And how are all the children?" The pastor's aloofness may trouble him more than anyone else. He must not play favorites with members of his flock; he dare not discuss his problems with anyone in the congregation. He is a man who "must show himself friendly," yet have few intimate friends of his own. If he seems a little aloof, don't forget that he is a little lonely too. Pastors are people: very special people, to be sure� chosen vessels of the Lord, to be used of Him that others might come to know the Savior�but human, nevertheless. As people, they have feelings, physical limitations, human desires, weaknesses as well as strengths�even as you and I. Perhaps they would like us to remember this sometimes. When the army to the north engaged in battle against Israel, the order was given to the Syrian troops to concentrate on destroying the leader of the warriors of Israel (2 Chron. 18:30). In all segments of society God has ordered that there be leaders�nation, family, military. God has also set some to rule in the local church. The devil would be a poor strategist if he did not order his demons to concentrate their efforts upon the spiritual leaders, and the pastor in particular, in this spiritual warfare. James was killed with the sword. The apostles were per-secuted, imprisoned, and beaten. Paul's productive ministry led to his execution, evidence of satanic hatred and satanic strategy. Demas, of great potential, was enticed from service by the attraction of the world. Satan also works to discredit any servant of the Lord that exposes his wiles. Anyone familiar with the life of the Apostle Paul knows how he was compelled to defend his character and apostleship, (e.g., in writing to the Corinthians) even though he was personally most reluctant to do so. Contemporary history of Bible churches reveals vehement onslaughts in various forms upon conscientious pastors, including unjust criticism and abuse from fellow pastors. Each man suffers personally, but what is even more serious, a local church's collective testimony can be irrevocably destroyed! Take heed unto thyself, and unto the doctrine; continue in them: for in doing this thou shalt both save thyself, and them that hear thee (1 Tim. 4:16).